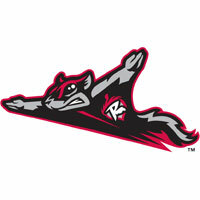 The Trenton Thunder (26-22) survived a late scare from the Richmond Flying Squirrels (24-27) and claimed a 4-3 victory in front of 6,017 at The Diamond on Monday night. The Memorial Day victory allowed Trenton to split the four-game series. The Thunder struck for the first time against Richmond left-hander Mike Kickham in the second inning. Zoilo Almonte opened the inning with a single and Kickham did the rest of the damage to himself. He walked the next three hitters, including Damon Sublett with the bases loaded, to force home the game’s first run. It was a more conventional and quicker rally for Trenton in the fourth. Luke Murton led off against Kickham and decked a solo-home run to left field for a 2-0 advantage. Kickham (3-5) lasted just four innings, needing 80 pitches to get to that point. He endured his fifth loss of the season, allowing two earned runs on three hits. He walked three and struck out five. The Squirrels could get nothing going against Trenton starter Mikey O’Brien (2-1). He handcuffed Richmond on just two singles over 6 1/3 scoreless innings, walked four and struck out four as he won for the second time at the Double-A level. After a slow night offensively, both clubs erupted in the ninth inning. The Thunder scored two runs against Richmond right-hander Edwin Quirarte. Both runs scored on a two-run double off the right-center field wall from David Adams that stretched the Trenton lead to 4-0. The Thunder would need the cushion as right-handed closer Ryan Flannery came out erratic in the ninth inning. He walked Tommy Joseph to start the inning and Juan Perez followed with a double to left-center field. Joseph raced around with the first Richmond run of the night. Flannery got the next two batters to ground out, but Perez scored on a groundout from Ryan Cavan. Flannery was an out away from ending the ballgame, but walked both Jose Flores and Nick Liles to put the tying runs aboard. Trenton went back to the bullpen for right-hander Preston Claiborne. He grazed Gary Brown with a fastball to load the bases and then walked Ehire Adrianza to force home another run. The Squirrels were within a lone run with the tying and winning runs in scoring position with two down. However, Claiborne settled himself down and struck out Johnny Monell to end the ballgame. Claiborne earned his third save of the season as the Thunder salvaged a series split with the Squirrels. Prior to the ninth inning, the Thunder bullpen had allowed just one run in the series over 9 1/3 innings. The Squirrels will travel to Altoona, Pa., to open a three-game series with the Altoona Curve (Pittsburgh Pirates) at Peoples Natural Gas Field on Tuesday night at 6:30 PM. Richmond RHP Justin Fitzgerald (3-2, 4.53) will oppose Altoona RHP Brandon Cumpton (5-4, 3.81) in the series opener. Pregame coverage will begin at 6 PM on Sports Radio 910 and SportsRadio910.com.